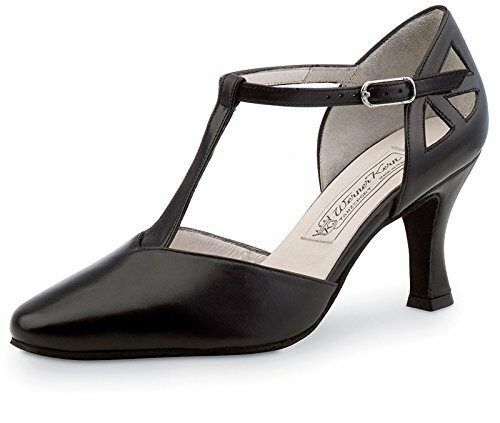 Extremely elegant and comfortable Werner Kern Andrea Black Leather dancing shoe. The T-strap in connection with the individually adjustable heel strap provide an optimum stable fit. A beautifully mastered heel area with cut-outs gives the shoe its class.